Yggdrasil Gaming, a leading provider of premium slots and mobile casino games, is off to a great start in 2017 with great game releases and investments in games. Since it’s start in 2013, Yggdrasil has slowly but surely carved its niche in the market, relishing its ‘underdog’ status to surprise the market with investments in games and technologies that help redefine the industry. Just this year, Yggdrasil Gaming has announced a new platform for its popular and newer games, the iSENSE 2.0+. As a revamped new platform, it offers improved user experience in the form of new innovations in game presentation. But more than the improved platform and innovations in gaming, Yggdrasil is making waves this year, courtesy of a new and exciting games that are destined to change the way you see casino gaming and entertainment. These games are loaded with exciting features, and some of these titles boast progressive jackpots. These games feature jackpots that grows exponentially, when players fail to hit the jackpot in the game. And the good news is that most of these Yggdrasil games are now carried by HitCasinoBonus, and ready to be played. With its jackpot wheel, Free spin mode and ‘hold feature’, Empire Fortune is destined to change the way slots enthusiasts play Yggdrasil games. Released last October 5, 2016, Empire Fortune is loaded with features and promises the best jackpots, provided the right symbols are matched. 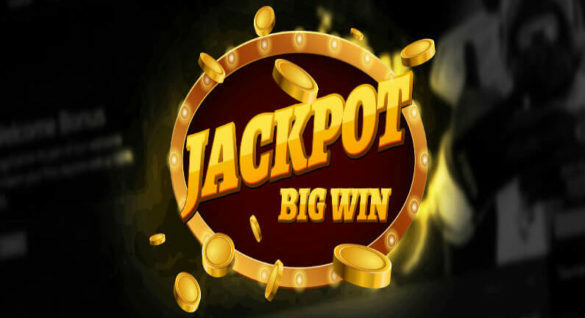 And speaking of the best jackpots, players and slots enthusiasts will be happy to note that this Yggdrasil Gaming title is designed as a progressive jackpot game, which can offer a maximum coin jackpot of 1,300 times the bet made. This is designed with 5 reels and 20 pay-lines, and the gameplay and graphics are optimized for mobile use. Players can expect an RTP of 94.3 percent, with a Free spin mode that helps players earn extra spins, for improved winnings. Known for their highly skilled and advanced seafaring skills, the Vikings helped define the history of the Scandinavian region, and the rest of Europe. Their seafaring exploits have been romanticized in different forms of media and literature, from books, plays and movies. Today, the Vikings are also popular subjects for online slot productions, including a game from Yggdrasil Gaming. Vikings Go Wild, an Yggdrasil production, is now listed by HitCasinoBonus, and ready for demo play. Designed as a 5-reel and 25 pay-lines slot game, Vikings Go Wild will take players on a slot-playing adventure that approximates that of the Vikings. It comes with 8 regular symbols, and wins start to pile up if 3 symbols are matched on the pay-lines. This game comes with a jackpot worth €190,000, with a 96.3 percent RTP. Also, this game is optimized for mobile gaming, allowing you to play the demo version anywhere. For players and slot enthusiasts looking for progressive jackpots and a touch of mystery, then Holmes and the Stolen Stones is a great demo game to play. The game is anchored on mystery and adventure, and you get a chance to help Mr. Holmes find the missing stones. In exchange, you can explore the 5 local progressive jackpots when you play the 5-reel and 20 pay-lines game. The reels are set in an old warehouse, and symbols are revealed on stacked wooden boxes. It features a Free spin jackpot game, and the jackpot can be yours if the reels (or the wooden boxes) can show 5 diamond stones, of the same color. First released in September 9, 2015, this game offers 12,000 coins and comes with a 96.8 percent RTP. This Yggdrasil Gaming slot is also optimized for mobile gaming, which should work for Windows, iOS and Android mobile phones. Yggdrasil Gaming knows creativity and refreshing themes and ideas when it comes to slot game design and production. This can be seen in the quality of slot games offered, and currently carried by HitCasinoBonus. And speaking of a refreshing casino slot game, the Golden Fish Tank by Yggdrasil Gaming comes into the picture. Designed with 20 pay-lines and 5 reels, this game takes players to the depths of the sea to explore the natural wonders, and the prizes that come with matching symbols and items. This game comes with 8 regular symbols, and matching 3 symbols on the reels can generate the winnings. Watch out for at least 3 Free spin symbols to enjoy the Free spin mode. If this mode is activated, 18 objects will be shown on the reels, and the player must pick from these items. If a Golden Bet has been chosen, the player is given a chance to pick another item. All shown objects comes with a specific hidden feature. But wait – we have even more games to offer from the team behind Yggdrasil – check them all out here!